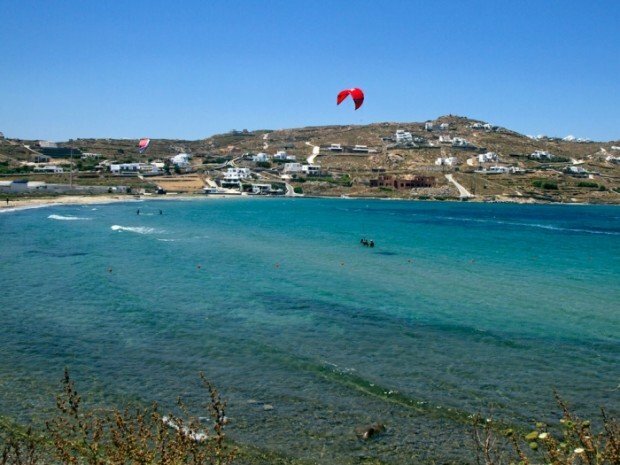 Korfos beach is situated just before the cosmopolitan Ornos Beach and only at 2.5 km/1.5 mi from Mykonos Town. 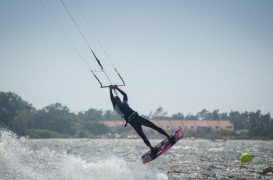 Thanks to its geographical position, side shore wind and shallow waters, this spot is a paradise for kitesurfing and kiteboarding enthusiasts. 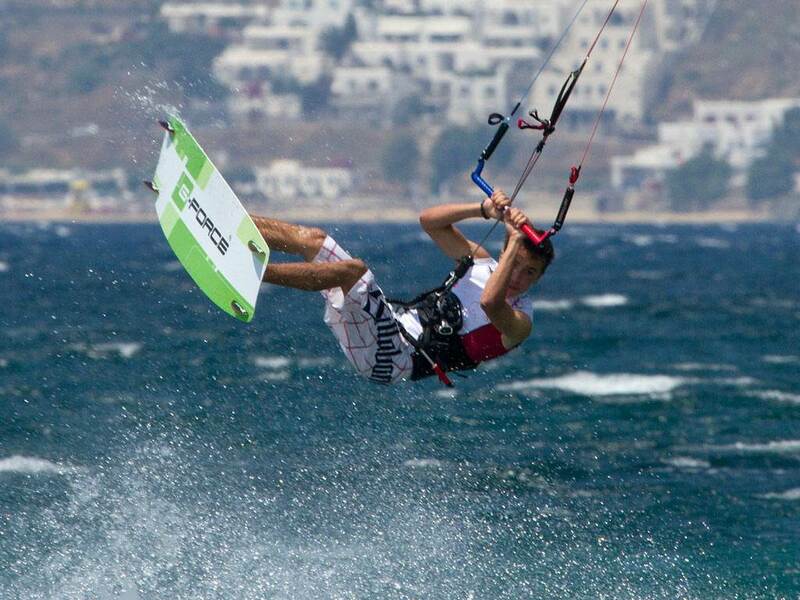 The site provides the right conditions for both the beginner and pro rider. 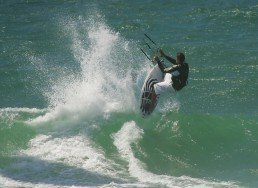 From May to September, the Meltemi wind blows with 20- 35 kn/23-28.7 mph and the waves swell size is from 1 m/3.28 ft to 3 m/6.56 ft most of the times. In addition, the water temperature is between 22-25°C/ 71.6-77°F. So, if you are interested in kiteboarding lessons or rent gear, Kite Mykonos will definitely help you in order to become an independent rider! Finally, Korfos itself, offers beautiful hotels, restaurants and taverns where you can taste Greek traditional food and other gastronomic treasures! 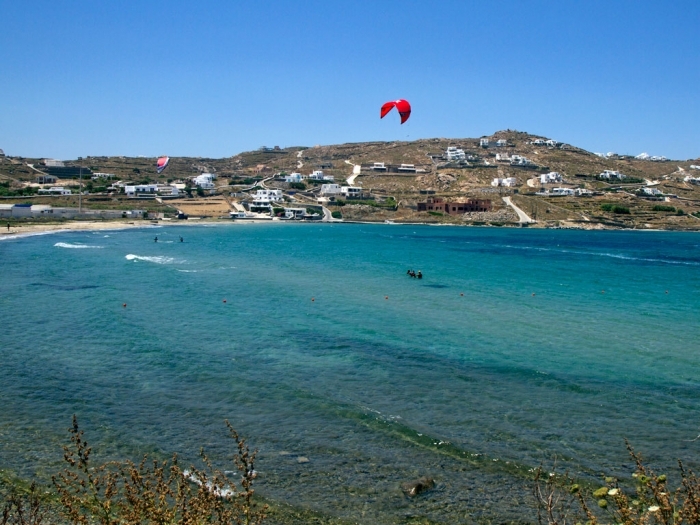 Don’t miss the chance to perform your favourite sport in this outstanding location of Mykonos.